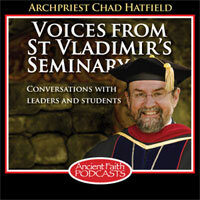 Dr. Rossi interviews a young seminarian at St. Vladimir's Orthodox Theological Seminary about the Indian Orthodox Church. We also hear some examples of Indian Orthodox chant. 1 Corinthians 2:9-3:8; Matthew 13:31-36.